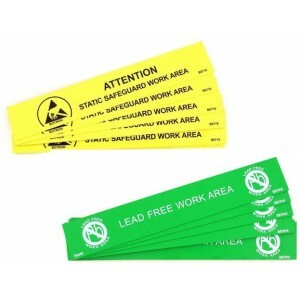 1″x6″ self adhesive bench signs. 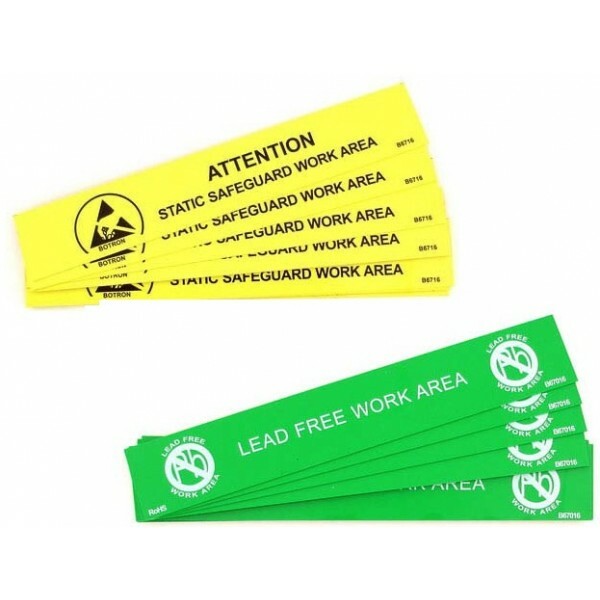 Yellow with black print reading “Attention Static Safe Work Area” and ESD symbol printed in black or Green with white print reading “Lead Free Work Area” and No Lead symbol. 10 per Package.